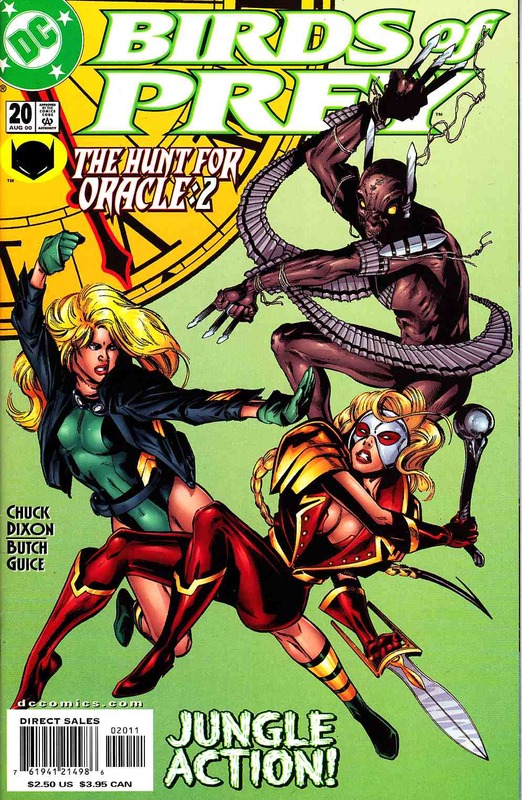 Part 2 of the 4-part "The Hunt for Oracle" crossover with NIGHTWING! While Black Canary faces off against the combined skill of Lady Vic and Brutale, Nightwing escapes the torture chamber of the Painmakers with a little help from the traitor in Blockbuster's camp. Meanwhile, Blockbuster is in hot pursuit of Oracle with the help of cyber-hackers Giz and Mouse; Stallion is sent to Gotham City in search of Oracle's headquarters; and Nite-Wing makes a move that will destroy his partnership with Nightwing. Continued in NIGHTWING #46.